What’s Frugality All About, Anyway? When I tell people I meet that I write a blog on frugality, they inevitably say that they too would like to become more frugal. And frugality is definitely the hot topic of the moment, as people try to ride out the recession as best they can. But what is frugality all about, anyway? She also only ever pays cash, and never uses a credit card unless she needs to buy a plane ticket online. She’s a big fan of the envelope system, thanks to a reader tip from a past post on Almost Frugal, and now she has envelopes for her gardener, her house cleaner and her new computer fund. For me frugality is acquiring and using goods and services in a restrained manner in accordance with ones beliefs and situation. I think that people are not necessarily frugal to achieve a long term goal. For me, that implies that once that goal is met, you will no longer be frugal. I also think that people can be frugal in different ways, to different degrees. And these differences will be very much in accordance with their starting points. 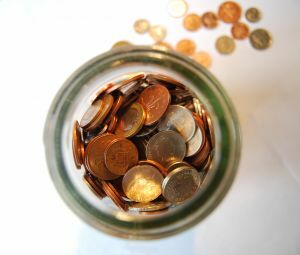 Learning to be frugal, and becoming frugal after a life of excess looks very different from being frugal from childhood. I am learning about frugality- I fully admit that I’m not there yet, although I think most of the choices we make are frugal enough. But I think that in fact a lot of my problems come from having a lot of debt and not always enough money to pay my bills every month, not from a problem of not being able to control my spending or always needing to have the best and the latest of everything. Frugality isn’t about deprivation, nor about buying the cheapest things or spending the least amount of money. It goes beyond money and spending. Frugality is about not leading a life of excess, about appreciating what you have, about making do, about letting go. What is frugality all about for you anyway? Can anyone be frugal? What does being frugal look like to you? Good post, Kelly! I like how you distinguish between being frugal and being cheap. I feel like frugality has a “quality over quantity” feel to it for me. Thanks, I am just starting down this path and this is really helpful! Some great definitions there. Being frugal is truly economizing in a way that maximizes the dollar for you (and that is going to be a little different for everybody). "Frugality isn’t about deprivation, nor about buying the cheapest things or spending the least amount of money"
Amen! I'm so tired of people confusing frugality with being cheap, or worse, miserly. To me, frugality is simply the antonym of wastefulness. Or, as you put it, "acquiring and using goods and services in a restrained manner in accordance with ones beliefs and situation." Anything else would be wasteful, imho. I think for me frugality is simply about making informed purchases. That's what it all seems to come down to. If you don't buy right away, you have the chance to learn more about the product and do a price comparison. If you see if you can do without a product, you will know whether it's truly a good buy — worth the money you're giving up. To me, being frugal means to be prudent and resourceful in all areas of my life. I agree with you that frugality isn't necessarily about deprivation or stinginess. Finding where you draw that line, however, is certainly difficult, because everyone's frugality threshold is different. Being used to a frugal life (my grandparents were a king & queen of frugality), I enjoy darning, reusing unwanted items, cooking from scratch & getting free stuff, etc. But my hubby will certainly feel deprived (& embarrassed) if I imposed my way onto him. We are still learning to compromise. I’m not the most frugal person and I have to work really hard to be one. It just doesn’t come naturally. For example, I don’t always clip my coupons. I know I’m throwing money away by not clipping them, but I just haven’t gotten into a situation where I need to stretch my dollars further. I’d probably have more play money if I did these small things, but sometimes I find them to be more hassle than they’re worth. However, I’m pretty good at comparison shopping, so in that sense, depending on the product and the quality I’m needing, I will shop around to find the best price. That said, to me, frugality is about making financially educated decisions that stretch your dollar, but not so much that you’re just being cheap. I think frugal will mean something a little different for everyone because everyone has different circumstances. To me, I look at being frugal as not being wasteful and overindulgent. Some one else may have a completely different view. Kelly's personal definition reflects your present business studies. Worthy to be printed in a marketing textbook, beating Wikipedia. Frugality is about being an individual who follows his/her own road. We don't succumb to the endless ads promoting this wastefull product after that one. We spend on what needs to be spent on. Frugality is different for everyone based off their own situations and finances. It's about the basics of being careful with what you spend money on and being efficient and not wasteful. Being frugal is overratted. You need to spend wisely and live within your means, but get what you can afford. "Being frugal is overratted. You need to spend wisely and live within your means, but get what you can afford." I think you just described frugality, so if that's what you say people "need" to do, how is that "overrated"? Frugality isn't about buying cheap stuff, it's about not wasting your resources. It's very much about buying quality goods, not wasting your money on stuff that's going to break easily, but also not buying stuff just to buy stuff.